Worry about choosing the right components and their safety or effectiveness. Splice any electrical cable or conduct any electrical work. Ready-to-install Kits - Complete with heating cable, roof clips, downspout hangers and cable ties needed to install your de-icing system. Ice-Dam Prevention - Ideal for preventing hazardous snow and ice build-up on roofs, gutters and downspouts that can cause property damage and personal injury. Use of an extension cord is not recommended, but if an extension cord is needed, call your local electrical inspection agency for a recommendation on the proper outdoor-safe extension cord. Note: If less than the standard SpeedTrace Roof and Gutter Kit lengths, round up to the nearest cable size. 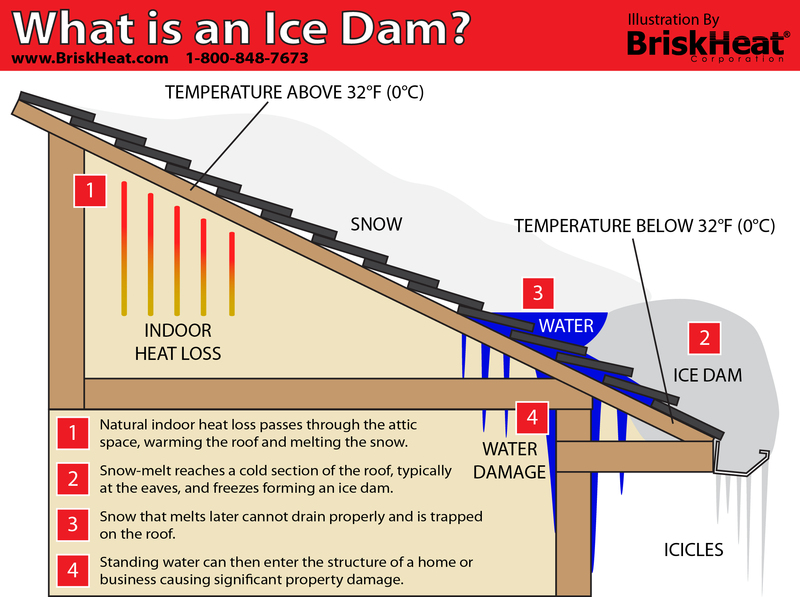 Ice Dams are Ice buildups that form on a rooftop due to the inherent temperature differences between heated spaces and roof overhangs.